In 2013, the ASPCA Animal Poison Control Center (APCC) in Urbana, Illinois, handled nearly 180,000 cases about pets exposed to possibly poisonous substances. Topping the list for the sixth year in a row are prescription human medications. Nearly 20% of all calls were from owners whose pets got into medicines intended for human use. 1. Prescription Human Medications The APCC handled 24,673 cases regarding human prescription medications in 2013. The top three types of medications that animals were exposed to include: heart medications (blood pressure pills), antidepressants and pain medications (opioids and prescription non-steroidal anti-inflammatory drugs). Many of these exposures were due to people dropping their medication when preparing to take it, and before they knew it, Fido had gobbled the pill off the floor. 2. Insecticides Insecticides are used in the yard, home and on our animals. While 15.7% of all calls to the APCC are about insecticides, more than half of the calls involving cats pertain to felines exposed to insecticides. Always read the label before using any insecticide on your pet, in your home or in your yard. 3. Over-the-Counter Human Medications Over-the-counter human products accounted for 14.7% of calls to APCC in 2013. This group contains acetaminophen, ibuprofen and naproxen as well as herbal and nutraceutical products (fish oil, joint supplements). Many of these products are tasty to pets, and some can be life threatening if ingested. 4. Household Products There were nearly 17,000 calls to the APCC about household products in 2013. Household toxins can range from fire logs to cleaning products. Some items can be corrosive, while other can cause obstruction of the gastrointestinal tract requiring surgical intervention. 5. People Food Human foods are especially appealing to pets, especially dogs. 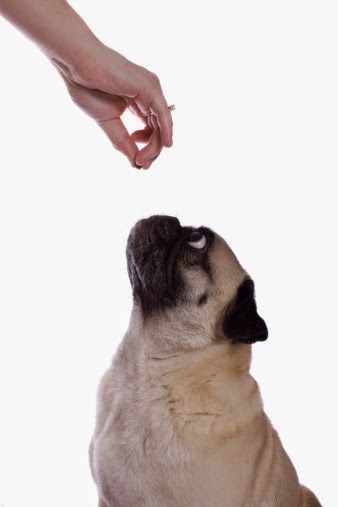 Dogs can get themselves into serious trouble by ingesting onions/garlic, grapes/raisins and xylitol, a sugar substitute which can be life-threatening for animals. 6. Veterinary Products and Medications Veterinary products slid down two spots this year. Both OTC and prescription veterinary products are included in this group. Flavored tablets make it easy to give your pet pain or joint medication, but it also makes it more likely for them to ingest the entire bottle if given the chance. 7. Chocolate Chocolate is still the number one people food that pets ingest (we received an average of 26 calls a day last year). Too much chocolate can cause vomiting, diarrhea, high heart rate and seizures. 8. Rodenticides When putting out baits to kill mice and rats, never underestimate the resourcefulness of your pet. Approximately 5.5% of calls to the APCC in 2013 were related to baits. Depending on the type of rodenticide, ingestion can cause internal bleeding, kidney failure or seizures. 9. Plants More than 9,000 cases in 2013 were pet parents calling about their animals eating plants. This is one category that cats lead dogs in the number of exposures. Lilies can cause kidney failure and death in cats. Please see our list of toxic/non-toxic plants for more information. 10. Lawn and Garden Products Fertilizers, which can be made of dried blood, poultry manure and bone meal, are very attractive to pets, so it is not surprising that we get many calls (over 5,000 in 2013) on lawn and garden items. If you have any reason to suspect your pet has ingested something toxic, please contact your veterinarian or the Animal Poison Control Center’s 24-hour hotline at (888) 426-4435.